The company scored 93 out of 100 overall, Laptop said. It managed 56 out of 60 for its Web score, and 37 out of 40 for phone support, with an average call time of just 6 minutes in undercover investigations —over 2.5 minutes faster than second-place Acer, which actually scored 38 on phone support but only 50 on the Web. Apple's website and support app are "loaded with helpful, step-by-step tutorials," and backed by "knowledgeable and friendly" workers on phone and chat lines, according to Laptop. The company also reportedly replied to Twitter messages "quickly and accurately." The worst companies among those ranked included Asus, Samsung, and MSI. Asus' chat and website were described as "especially disappointing," while staff at Samsung were said to have kept mistaking the Notebook 7 for the Galaxy Note 7. The very bottom company on the list, MSI, had representatives that were "shockingly unfamiliar" with products. In gauging Apple's phone support, Laptop made three separate calls in which it tried to test staff's knowledge of more recent Mac technology, including Siri, iCloud Drive, and the Touch Bar on the MacBook Pro. Only in the iCloud Drive call did an Apple representative make a tangential mistake, claiming there was no way of turning iCloud Desktop and Documents off without disabling iCloud Drive. To improve support, Laptop suggested only that Apple should make sure workers learn about all new features, and provide direct answers on its Twitter account, rather than linking elsewhere. In November, @AppleSupport picked up a Twitter #Customer award. Apple has often counted on its support as a selling point, including not just phones and online but Genius Bars. 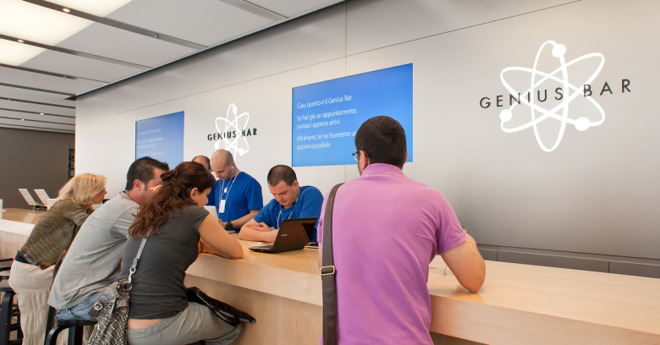 A person with a faulty Mac or iPhone can get first-party help if there's an Apple store in their city, whereas people with a Windows or Android product are usually dependent on remote or third-party support unless they have Microsoft hardware.